Nominate someone for a Digital Pioneer Award – nominations close on 2 December. Sustainability through digital (which means that they have been instrumental in making sure a digital implementation has been sustained enough to a point of delivering benefit). Med-e-Tel, the Luxembourg event, has a call out for abstracts with a deadline of 4 December. 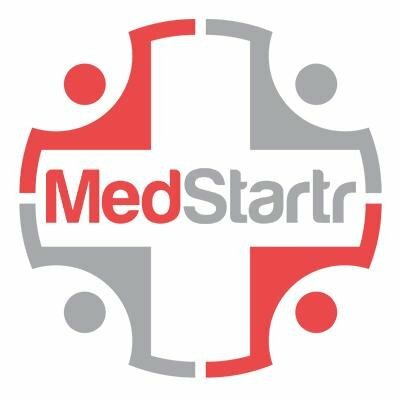 The NHS England Clinical Entrepreneur Programme have launched recruitment for their second year cohort. Applications for all doctors will close on 9 December 2016. This intake apparently “will have limited places” (don’t they all?). Interviews will be held in March 2017 and the programme will commence in autumn 2017.
promote collaboration across various settings. The day will consist of exhibitions, poster presentations, talks/panels delivered by stakeholders, and networking sessions. With the keynote/guest speakers they have lined up, this is set to be their highest profile event to date, therefore, they ask that people should register as soon as possible here. The Royal Society of Medicine is holding its highly popular Recent developments in digital health conference on 28 February. Speakers this year include Ali Parsa, Dame Fiona Caldicott, Shafi Ahmed, and Sir Mark Walport – it’s going to be another great event. Last year there were disappointed late bookers because it sold out, so worth getting in early by booking here, now! Hat tip to Prof Mike Short for some of the events. Anyone tuning in to the Chancellor’s Autumn statement will be only too well aware of the JAMs – just about managing. However there also another JAM – the JAM Card and app which is a brilliant idea to flag to impatient people that you just need a little more time – Just A Minute, in fact – whether due to age, infirmity or disability. Now there’s an app to go with it too so you can record whether people responded well or not to you flashing the card at them. Hat tip to Prof Mike Short. The New York eHealth Collaborative’s Digital Health Conference brings together 500 senior-level healthcare industry leaders to learn about new innovations and to foster dynamic conversation addressing how healthcare is being redefined through technology. It is well on track to fill completely, so if you’ve been delaying your booking, now is the time. And our readers enjoy a 10 percent discount. Updated and expanded agenda here. Some other speakers: Carol Raphael, the former CEO of Visiting Nurse Service of NY; Kristopher Smith of Northwell Health; James Mault of Qualcomm Life and Aron Gupta of Quartet Health. This year a who’s who of New York’s healthcare and health tech community will gather for two days of networking, lively intellectual exchange, and exploration to see what’s new, what’s cutting edge and what will shape the future of healthcare. It’s worth taking the trip to NYC for this right before the holidays! For more information, click here for the website. 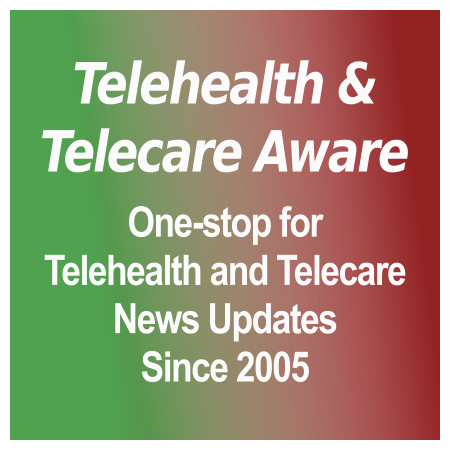 Telehealth & Telecare Aware Readers receive a 10% registration discount. Click on this link or the sidebar advert. Important–use code TTA when registering. For updates, @NYeHealth. TTA is a conference partner/media partner of the NYeC DHC. Robot-assisted ‘smart homes’ and AI: the boundary between supportive and intrusive? [grow_thumb image=”http://telecareaware.com/wp-content/uploads/2016/06/Robot-Belgique-1.png” thumb_width=”200″ /]Something that has been bothersome to Deep Thinkers (and Not Such Deep Thinkers like this Editor) is the almost-forced loss of control inherent in discussion of AI-powered technology. There is a elitist Wagging of Fingers that generally accompanies the Inevitable Questions and Qualms. I have likely led with the reason why: loss of control. Control does not motivate just Control Freaks. Think about the decisions you like versus the ones you don’t. Think about how helpless you felt as a child or teenager when big decisions were made without any of your input. It goes that deep. In the smart home, robotic/AI world then, who has the control? Someone unknown, faceless, well meaning but with their own rationale? (Yes, those metrics–quality, cost, savings) Recall ‘Uninvited Guests’, the video which demonstrated that Dad Ain’t Gonna Take Nannying and is good at sabotage. It seems like a year ago that the US Department of Justice sued to stop the merger of these healthcare payer giants on antitrust grounds, but it was only July! On the face of it, it would reduce the Big 5 Payers to the Big 3, with the $48 bn Anthem-Cigna matchup besting UnitedHealthcare for the #1 pole position with 45 million covered persons. DOJ also cited reduction of benefits, raising premiums, cutting payments to doctors and reducing the quality of service. 11 states, including New York, California and Connecticut, plus the District of Columbia, are backing the DOJ. The Anthem – Cigna trial started today in US Federal Court in Washington DC. It is a two-phase hearing: the first on Anthem – Cigna’s merger’s effect on national employers, the second starting 12 Dec on local markets. So much has happened since our July report, none of it good. ACA exchange plans have hiked benefits up well into the double digit increases by state due to lack of competition: CO-OP insurers couldn’t defy actuarial gravity for long and went out of business; commercial insurers lost too much money and bailed from multiple states (KFF). The effect on Medicare Advantage programs, which are judged on the county-state level, will be most significant with a combined Aetna-Humana having 40-50 percent market share in many counties. This triggers divestiture in current regulations. These mergers rarely go to court after a DOJ action, so all eyes are on DC. An added fillip is that many expected the lawsuit to be the final kibosh on a Anthem-Cigna deal where reports of conflicts on future management and governance of a single entity were frequent. It wasn’t–and DOJ reportedly will be using documentation on the governance clash to demonstrate why it should not take place. The $38 bn Aetna – Humana court date is 5 Dec, also in Washington, before a different judge. All want a decision before year’s end so that (if positive) they can proceed with state regulatory approvals before deal expiration on 30 April 2017. Bloomberg Big Law Business, USA Today Also don’t assume this has much to do with a Donald J. Trump administration being ‘typical Republican=friendlier to Big Mergers’, because the president-elect has been hostile to other high profile ones, notably AT&T/TimeWarner, and this will be over before a new Attorney General is confirmed. [grow_thumb image=”http://telecareaware.com/wp-content/uploads/2016/11/jacobs-well-texas-woe1.jpg” thumb_width=”150″ /]Appearing in the netherworld of a Saturday weekend edition before a holiday week was this tidbit in the Wall Street Journal announcing that Theranos‘ legal representation will no longer be big, politically connected NY-based law firm Boies, Schiller & Flexner. Their replacement is a big, politically connected Washington, DC-based law firm, WilmerHale. Reasons why, according to the John Carreyrou article, are disagreements on how to handle the ongoing multiple government investigations of Theranos. It also follows the September departure of in-house general counsel, and former Boies partner, Heather King, who is returning to the firm. Her replacement is David Taylor, who has no visible ties to WilmerHale. According to Mr Carreyrou, Mr Boies “became Theranos’s outside counsel after being approached in 2011 by two investors in the Palo Alto, Calif., startup. He fiercely defended Theranos against questions about its technology and operations.” Those actions included threats of legal action against the WSJ and pressuring whistleblower Tyler Shultz (ch. 25). Mr Boies also sits on the Theranos board. His fate there is not disclosed, yet. David Boies is known as a bare-knucks litigator involved in high profile cases defending Sony, American Express and Big Tobacco, and against Medco, Microsoft and George Bush in the 2000 presidential election. At 75, the chairman is one of the best known figures in what is colorfully termed Big Law. Perhaps another reason why is found at the end of the article. “The law firm was paid in Theranos stock for its work on the patent case, according to a person familiar with the matter. Boies Schiller was granted more than 300,000 shares valued at $4.5 million, based on a valuation of $15 a share at the time, this person said.” Since this $9 bn Unicorn is now worth about $9, this was a bad investment, indeed. But Elizabeth Holmes, and whoever is left, are soldiering on to “show who we are through our inventions.” Indeed. If the link hits the paywall, search on “Theranos and David Boies Cut Legal Ties”. See here for the 25 previous TTA chapters in this Continuing Saga.